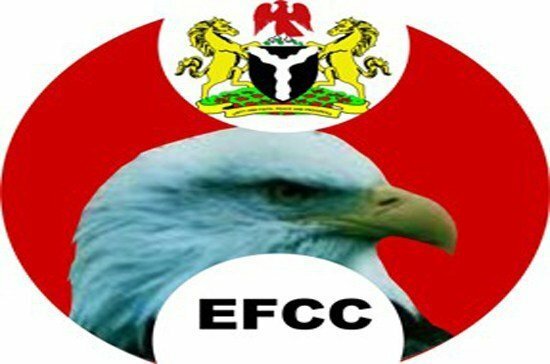 The Economic and Financial Crimes Commission (EFCC) has arraigned a pilot, Mamman Ali Ibrahim, before Justice A. I. Kutigi of the High Court of the Federal Capital Territory in Gwagwalada, Abuja on a two-count charge of the offence of criminal breach of trust. The EFCC, in a statement issued on Friday by its spokesman, Tony Orilade, said Ibrahim serves as a pilot, in charge of Air Ambulance Aviation Unit and Helicopter Emergencies Service, at the National Emergency Management Agency (NEMA). It is the prosecutionâ€™s claim that Ibrahim allegedly diverted over N91 million, money meant for the maintenance of the fleets, including Airbus, Air ambulance and the Helicopter. Orilade said: â€œHis journey to the dock on February 7, 2019, followed a petition to the office of the Vice President, which was forwarded to the office of the acting EFCC Chairman, for investigation. â€œInvestigations revealed that Ibrahim commercialised both the ambulance and the helicopter. â€œHe, however, claimed that the directive to commercialise them came from the office of a former vice president and a former Accountant General of the Federation. â€œFurther investigations also revealed that the total sum of N285 million was realized from the commercialisation of the aircraft, while N63 million was paid to the AGF. â€œIt was also gathered that N11 million was paid to NEMA, while the balance was yet to be accounted for. â€œAccording to the petition, over N4million was paid into the account of Aerocare West Africa Limited, a company belonging to the defendant, which he transferred to his family members. Orilade said Ibrahim pleaded not guilty to the charge when the counts were read to him. He added: â€œIn view of his plea, prosecuting counsel, Deborah Ademu-Eteh, asked the court for a trial date. â€œDefence counsel, Aduojo Abah, however, moved the motion for the bail of his client. â€œAdemu-Eteh opposed the application, urging the court to â€œconsider the severity of the punishment and the character of the evidence before the courtâ€. â€œAfter listening to all the arguments, Justice Kutigi granted him bail in the sum of N50 million with one surety in like sum. The surety being a public servant not lower than level 14, must be a resident within the jurisdiction.